As a school council chair, I have had a few tense encounters with parents and government over the years. There has been an occasional miscue with friends about parenting styles. Did you follow the story of Jill and Kent Easter, a pair of disgraced attorneys who attempted to frame a PTA President by planting drugs in her car in 2011 for a perceived slight towards their child in 2010. This incredibly bizarre story is serialized in Christopher Goffard's "Framed: A Mystery in Six Parts" for the Los Angeles Times. They planted drugs in Kelli Peters' PT Cruised, made an anonymous call to police to report an erratic driver and give the location of the car which was parked outside of Plaza Vista School in Irvine, California. The tipster pointed out that there were drugs in the car. The police responded and found the stash of marijuana, a ceramic pot pipe, 11 Percocet pills and 29 Vicodin. There was enough drugs to not only destroy Peter's reputation but to send her to jail. Peter's knew she had an enemy, the Easter's had been harassing her with lawsuits, campaigning to replace her as PTA president and putting up posters in the community defaming her. The police office in charge knew from the start something was was wrong. The tip was very specific, the anonymous callers fake Indian accent, the false numbers provided by the caller, and the ease of finding the drugs that were just sticking out of pouch behind the drivers seat. Something did not add up. Instead of charging Peters, they asked more questions and dug into the tip and her troublesome encounters with the high powered lawyers. Kent Easter spend 87 days in jail while Jill was given 60 days in jail. They were both disbarred and were ordered to pay millions of dollars in damages. They are no longer married. Jill has changed her name to Ava Everheart and has had the face to share her trials and tribulations on the Dr. Phil show! Makes you wonder how a pair of smart people, a legal power couple could be so stupid and how many innocent people have been set-up by vindictive sociopaths. Speaking of which, “Making a Murderer” will return to Netflix with new episodes. 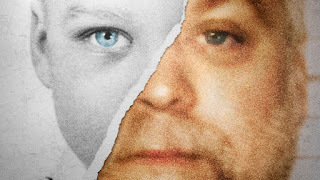 This season will provide an in-depth look at the high-stakes post-conviction process as Steven Avery's legal team challenge his convictions, while the State fights to have the convictions and life sentences upheld.